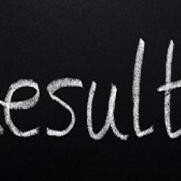 The result for class 10 board exam 2018 has been declared by the Himachal Pradesh Board of Secondary Education HPBOSE. The result for class 12 board exams was declared on April 27, 2018. Class 12 results were also delayed. The exam begins on March 6 and concluded on March 29, 2018. You can get a hassle free result. Register your e-mail and mobile number with Amar Ujala Results by clicking tab "Get Your Result on Mobile/Mail" on the right column. Once registered, we will send you an immediate alert of your scores on your mobile and email as soon as the Himachal Pradesh Board of School Education Dharmshala is published on our website.